Life simply doesn't get any better than this! I am still trying to decide which season is my favorite at Izatys! Once the snow falls, the resort is transformed into a winter wonderland! Besides ice fishing, snowmobiling, and snowshoeing, we also have some of the finest cross country ski trails in the entire state! You can chose to relax by the fire, or get out in the snow and enjoy everything Minnesota winters have to offer! Spring is a magical time to spend watching the glistening mountains of ice break up on the lake. Each day your view will change and you are sure to see something new! In the summer, you can play a round of golf on our fabulous golf course one day and rent a boat from the marina the next! You and your family should be able to get their fill of swimming in the lake and in the pool. At the end of the day, fry up your catch in the full kitchen or try your hand at BBQing it on the charcoal grill. If the weather is nice, you can dine on the porch or fold up the table and bring it lakeside! If you don't feel like cooking, it's a very short walk to our award winning restaurant or there are many popular restaurants in the nearby towns! After dinner, you can play tennis or our favorite, pickle ball and then enjoy the sunset from the living room, screen porch or on the master bedroom balcony. As the night's cool air sets in, start a fire in the stone fireplace or head out under the stars to one of the out door fire pits to roast marshmallows and tell tall tales. The lake has this magical feel about it and it reminds me of being at the ocean! It is constantly changing and It is ALWAYS BEAUTIFUL! As far as the villa is concerned, what can I say! I put a lot of thought into decorating it and hopefully you will enjoy it! We find it a most relaxing place to stay! My husband and I could listen to the waves for hours. During the time we have stayed here, we discovered there is a popular fishing hole straight out from our door so we always know when the fish are biting because sometimes the boats stay in that spot for hours! Every trip into any of the nearby towns is an adventure with wonderful restaurants to try and charming shops along the way. We make it a special point to go into Isle on Saturdays for the Farmers Market. We love getting fresh eggs and fresh asparagus among other things:) Teals Grocery Store in Isle is wonderful so I don't feel like I have to shop before we leave. They have it all and is quite reasonably priced for a resort area! When it comes right down to it, I haven't found anything I don't like about owning at Izatys. In fact, the most difficult thing about being there is knowing one day I will have to go home. We hope you will enjoy our lake home just as much as we do and feel free to make it your home away from home during your stay! toilet, combination tub/shower, With separate sink and vanity in dressing area. NEW vanity with granite and toilet on main floor. Full Master, full hall bath, and 1/2 main floor powder room. Stunning views of the expansive Mille Lacs lake with a popular fishing spot is just off shore from the home. Stone fireplace with complimentary wood for your enjoyment. 2 parking spaces are included. Please only use spaces provided for our unit. Overflow parking is available. Please bring additional beach towels. Pottery Barn sleeper sofa with a queen sized mattress. Fireplace is located here. Brand new (not yet photographed) stainless french door with freezer and ice maker on bottom. New (not yet photographed) stainless flat top with quick heat burner and stay warm 5th burner. New (not yet photographed)! Large with three racks. Everything you need will be here including electric fry pan, chef knives,toaster blender, waffle iron, crock pot, microwave, etc. Has all the comforts of home. Table seats 6 (to 8 max) in dining room. Porch has table with 6 additional chairs which can easily be taken outside. There is also a bistro table for 2. One flat screen in living room and another in master bed room. Many board games, bocci ball, bags and pickle ball paddles! Plenty of space for lawn games, sunbathing and picnics. Check with me to see if Izatys hot tub is open. Fit six people perfectly, appreciated the well kept unit, had most everything we needed and provided easy access to the lake. Very spacious and clean. Almost everything you could want was supplied. Had a great time and the off season was just what we wanted:) Betsy was especially nice and accommodating. Had a nice fireplace and the s’mores was a nice touch. We will be back! Super cute nicely updated condo but the carpet was disgusting and the kitchen floor was dirty. Over priced and was very disappointed in the flooring won’t rent this unit again. We had a great time, the kids loved it!! We were able to play yard games, swim (lake and pool) fish and head out on the lake. We will be back again! The one thing that was tough for us (with kids) is that there are only shear curtains on all of the windows. When the sun was up at 5:30....so were they. Very close to the lake, wonderful decor, and super short walk to the pool/spa! Loved it! I would definitely recommend this property. Everything we needed for our stay was there, and Debbie & Tim's property was stunning! Thanks again! This Villa is the nicest we've stayed in at Izaty's. The decor is fresh and bright, and the owners made sure we felt welcome with extra touches like games, sporting items, toys for the kids and even champagne! Great new kitchen with everything we needed to "eat in." 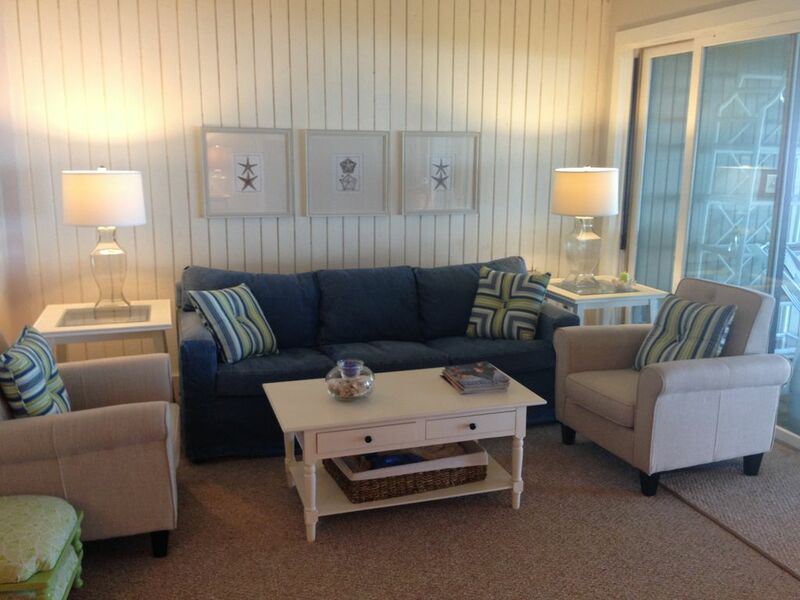 The enclosed porch is bright and clean with comfy furniture. A perfect place to enjoy the our family and beautiful Lake MilLacs! I will make sure the beach villa is clean. This includes fresh sheets, towels, bathroom amenities and coffee for the morning. This is all complimentary. CHECK-IN is at 4:00 PM. Earlier with approval. Luggage/ groceries may be dropped off at 1:00. CHECK-OUT is at 11:00 AM. Later requests will be honored if possible. We reserve the right to charge extra if you are out late without permission.